The Franklin County Sheriff’s Office has released additional information about the shooting which took place this past Friday. Sheriff Steve Thomas said the shooting victim died over the weekend. “Friday afternoon the Franklin County Sheriff’s Office responded to a call from 9-1-1 that someone had been shot on Poplar Springs Road in Gumlog. EMS and deputies arrived on the scene and it appeared a white male in his 50’s had been shot. Deputies, investigators and GBI agents worked the scene. The victim was flown to a Greenville hospital where he underwent surgery. His condition was not known at that time. On Saturday the Greenville hospital notified the sheriff’s office the victim had died of a single gunshot wound,” said Thomas. Thomas said the investigation led to the arrest of a suspect. Thomas also identified both the victim and the suspect. “Tuesday afternoon, Franklin County Sheriff’s Office investigators along with the Georgia Bureau of Investigation agents, arrested 29-year-old Billy Lamar Whitworth of a Lavonia address. 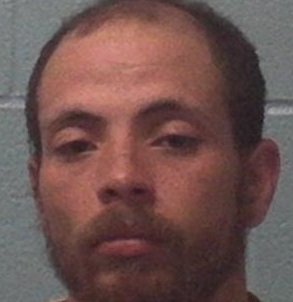 He was charged with the April 12 death of Michael John Ehlers of Poplar Springs Road. Whitworth was charged with felony murder, aggravated assault and possession of a firearm by a convicted felon. He is now being held in the Franklin County Detention Center awaiting is first hearing,” said Thomas. Thomas also said this was not an easy case and investigators worked tirelessly to solve the murder. “This investigation took hours, days and nights to be completed. Our prayers are with the family of the victim and all of the families involved,” said Thomas. Thomas did not offer a motive for the shooting and did not say when the first hearing would take place.